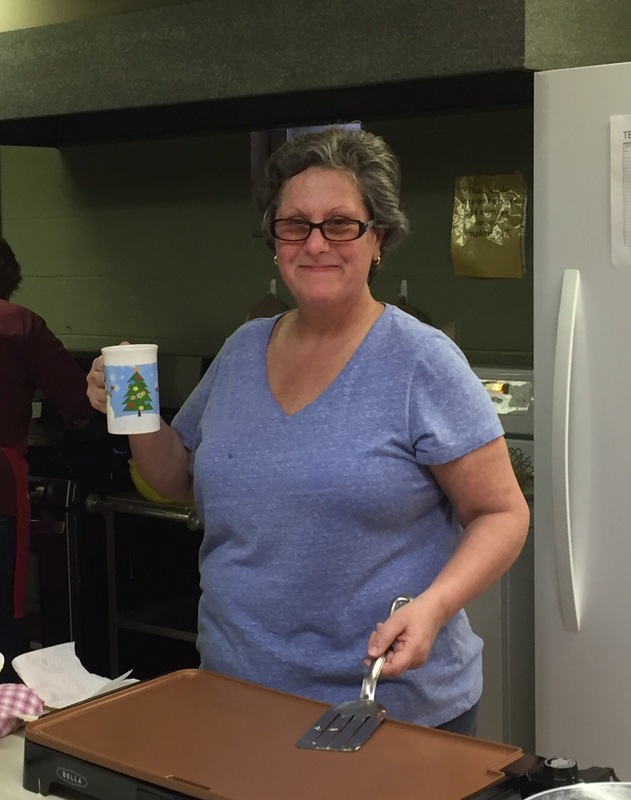 Thank you to everyone who came out to NCCR’s Annual Pancake Breakfast. 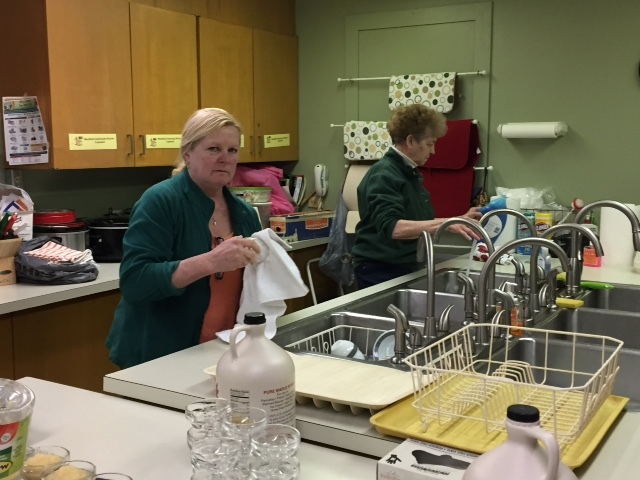 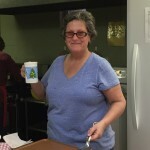 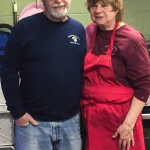 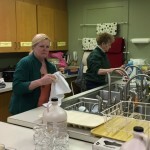 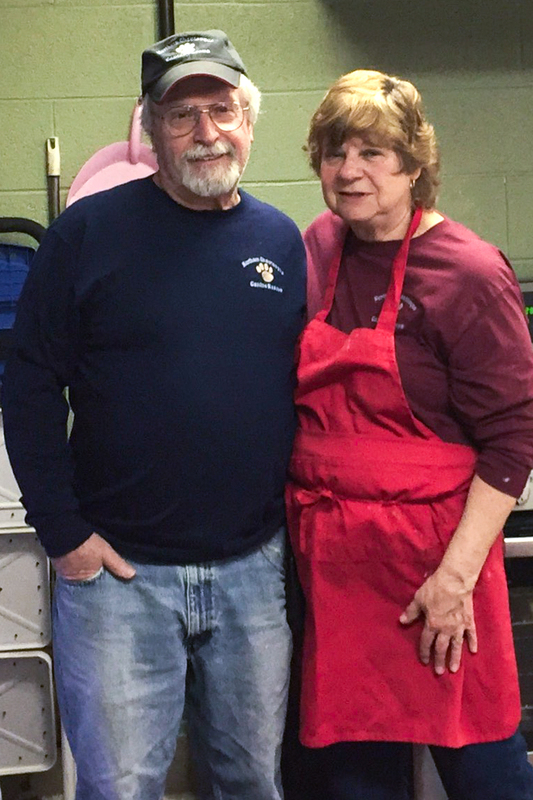 A huge thank you to those who donated supplies to make the event possible; Big Rick’s One Stop, Brazil’s, Dennis & Sandy Lutes, Anne Moelk and Marcia Okerlund and of course the NCCR volunteers who did the cooking, serving and clean-up. 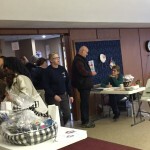 We also had some great raffle baskets donated by Toni Naeser, Barb Kosierb & Lynn Gresham. 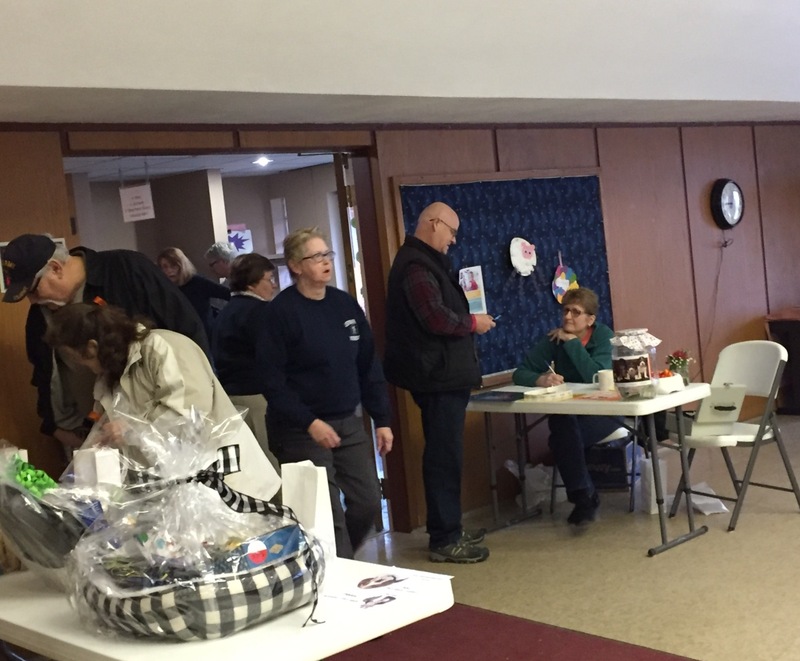 We are so grateful for everyone’s support, over $1100 was raised and it’s all for the dogs! 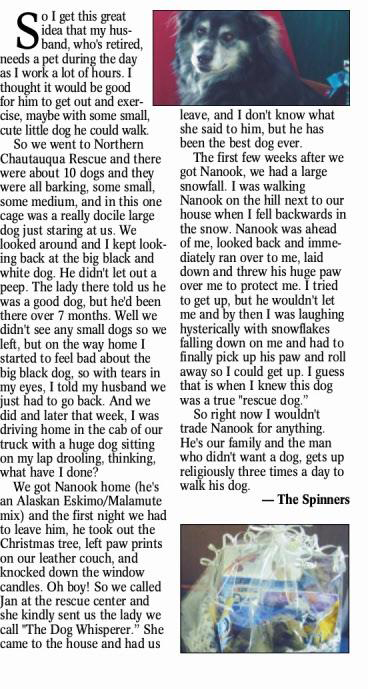 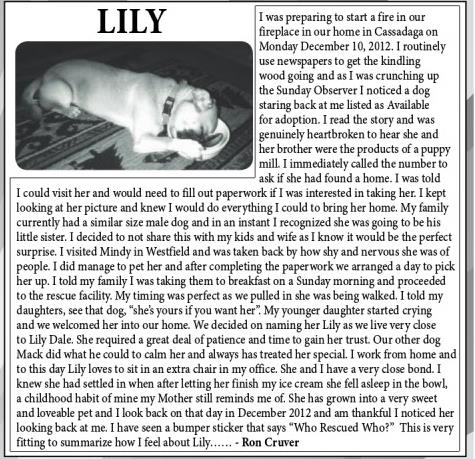 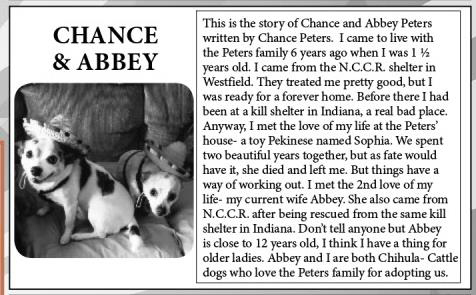 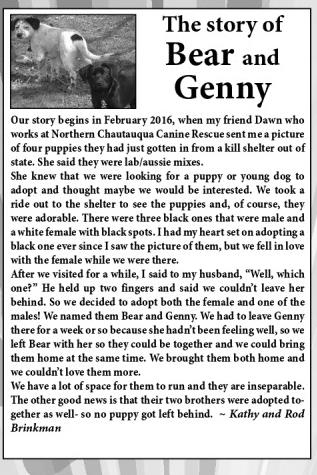 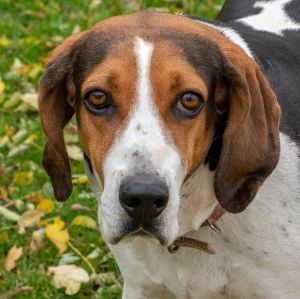 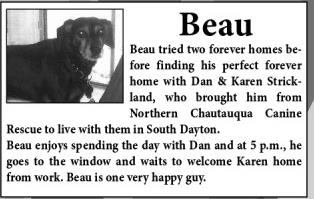 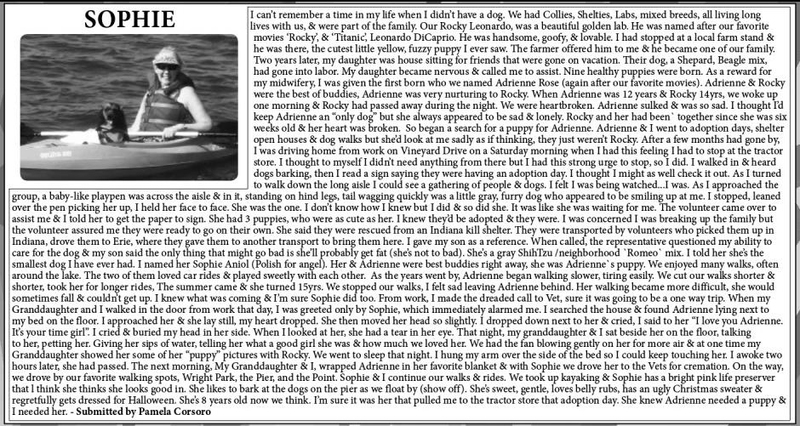 Recently the Observer featured rescued pet stories and here are a few from the families of NCCR alumni!